Safety 4 Kids is a non-profit organisation designed to help kids make better decisions about their personal safety. The concept and all aspects of Safety 4 Kids (including written content and poems) has been developed and created by Peta Daniels, who is passionate about the creation of this website and hopes it is engaging, helpful, and a positive influence for young children. Staying safe is a job we all share! Stay alert, listen, and keep a lookout! Hi kids, and welcome to our website! My name is Buddy and here are my friends, Hazel, Eric, and Paulie. Together, we make the special Safety 4 Kids team. We have some great tips for you on road safety, stranger danger, bullying, pool safety, and internet safety that you can view by visiting our Safety Zone. Our Fun Zone section is full of exciting games. Can you find the safety team and hidden objects within our 'Hiding on the Farm' and 'Lost in the Jungle' hide and seek adventures? 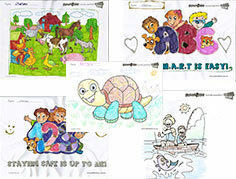 We also have fun find a word puzzles and colouring-in images. We hope you and your friends enjoy our website and all the different information we have to help you to stay safe. 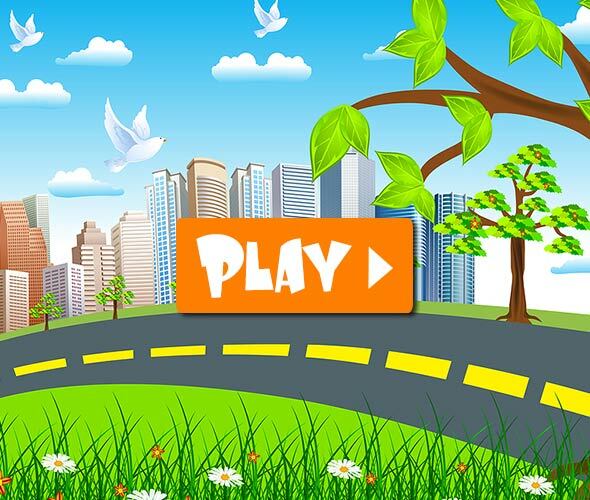 Don't forget to see our special safety poem message by clicking on the 'Play' button in the image above. Take care and remember to LOOK, LISTEN, and to STAY SAFE!